The Bear has lived in many places in Market Hall. here it is by the stairs to the first floor. Role: Museums and Natural Environment Manager. 1. What is the best bit about your role? That’s got to be my staff! My work mostly involves administrative and financial matters, but through that I enable the curatorial and visitor services staff to open our museums to the public, this means that they can access and enjoy our fantastic collections. The museum staff are all incredibly committed to ensuring that we offer the best experience possible to our customers and they make my time at work really enjoyable. The second best bit is being the person responsible for caring for Chesterton Windmill. It has got to be a particular highlight when I have the opportunity to work inside such an iconic structure in such a beautiful setting. 2. What is your favourite object within the collection? That’s a hard one as we have so many wonderful objects! I’m not sure I could narrow it down to a single object, but I have always had a real interest in Natural History and our taxidermy and herbarium collections will always be particularly special to me. 3. What is your most standout moment from your time working here? 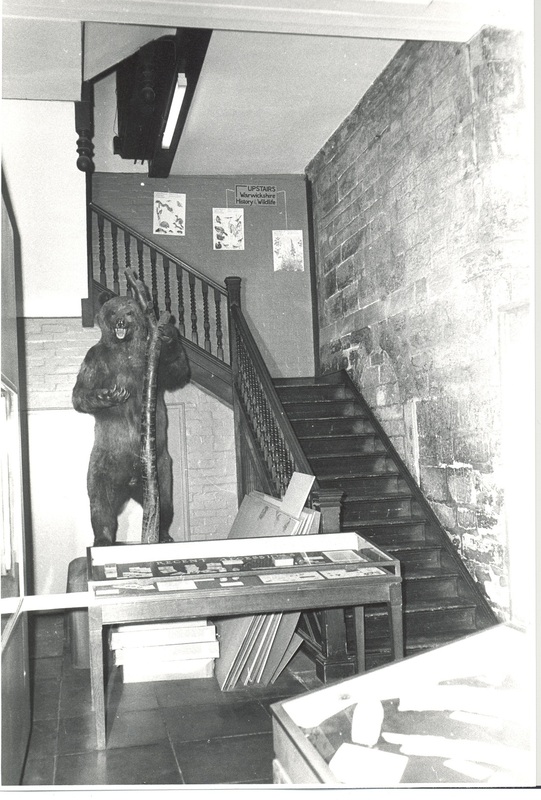 I will always remember the time that we moved the Warwickshire Bear from the ground floor to the first floor! It took several of us to move it, and involved the bear being placed in a huge net and carried out of the front door and around the outside of the building to access the rear stairs as it was too large to manoeuvre through the gallery! The look on people’s faces as we carried it around the street was hilarious! 4. What does Our Warwickshire mean to you? It’s a great opportunity for us to re-establish and re-launch Heritage & Culture Warwickshire so that we reach all sections of our communities across the whole of the county and beyond. For me personally it is the culmination of several years of planning and hard work to ensure that our collections are enjoyed by current Warwickshire residents and visitors alike, and protected for future generations.